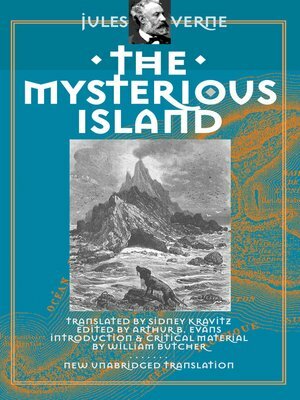 At a time when Verne is making a comeback in the US as a mainstream literary figure, Wesleyan is pleased to publish a new translation of one of his best-known novels, The Mysterious Island. Although several editions under the same title are in print, most reproduce a bowdlerized nineteenth-century translation which changes the names of the characters, omits several important scenes, and ideologically censors Verne's original text. The Mysterious Island was published in 1874, and it is one of Verne's longest novels. The plot depicts a group of men who have become castaways stranded on an island in the Pacific during the American Civil War. The novel describes their attempts not only to survive but also, with the aid of the scientific and technological know-how, to rebuild their world from the meager resources of the island. At the end, however, it is realized that Captain Nemo, from Twenty Thousand Leagues Under the Sea, has secretly been helping the settlers. A marvelous adventure story, The Mysterious Island is also notable for its modern retelling of the utopian deserted-island myth, with repeated echoes of Robinson Crusoe and the Swiss Family Robinson. This Wesleyan edition features notes, appendices and an introduction by Verne scholar William Butcher, as well as reproductions of the illustrations from the original French edition.